On this experience, get off the beaten path and explore Tokyo's most creative neighbourhood: Koenji. This place is famed for its underground music scene and hip eateries and bars, and this creative area is only a short train ride from Shinjuku. Your Local Host will introduce you to the trendy bars, concept stores, vintage clothes and second hand record shops where local artists and musicians love to hang out - and there will hardly be a tourist in sight! The area was once the home of Tokyo’s punk scene, and with your Local Host to navigate, you’ll see that the area has stayed true to its alternative roots. So immerse yourself in Tokyo’s most liberal and coolest neighbourhoods with a Local Host, enjoy the cheap eats, soak up the street style and browse the unique stores - you’ll not want to leave! 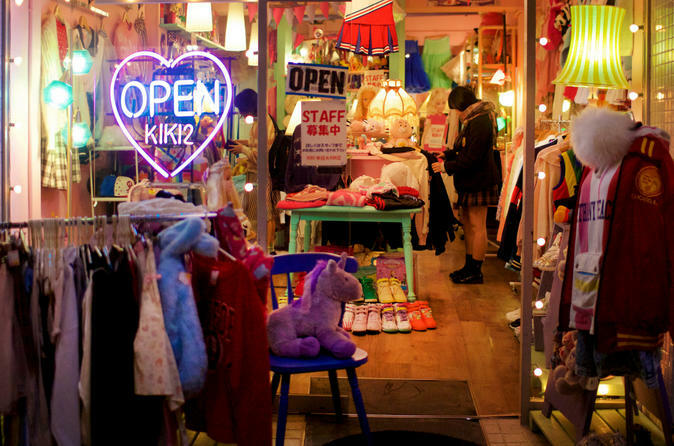 Join a like-minded Local Host and explore one of Tokyo's coolest neighbourhoods that most visitors don’t see: Koenji! With your Local Host, explore the alternative area and discover hidden gems as well as seeing the highlights. Your Local Host will show you unusual concept art galleries, incredible thrift stores as well as a shops few selling beautiful vintage kimono and second hand record shops. Soak up the street style in Tokyo’s old punk neighbourhood and be surprised to discover beautiful Shinto shrines and Buddhist temples in the city’s most hipster neighbourhood. Koenji is also a paradise for cheap eats, retro "kissaten" cafes, and bars as well as home to some really good izakaya and yakitori joints, so if you feel hungry you won't be far from some really authentic and delicious food. The district has also avoided the major modernisation of the 1980s in Japan and embodies the retro character of pre-boom Japan, with most of the houses and shops in the area being small and quaint. Throughout your experience you'll get to know your Local Host, who will give you recommendations for where to go and what to see in the area, as well as other local neighbourhoods you might enjoy exploring.